Driving a vehicle on a daily basis is a necessity for many people. If you do own a car, it is important that you get it serviced on a regular basis. One part of the car that you will need to have service needs to be performed as routine maintenance for the first time around 100,000 miles, then every 50,000 miles thereafter. It's a general guideline - follow your owner's manual for specific intervals on your Toyota. The cooling system of your car is very complex and includes a variety of important components including the radiator, water pump, and having clean coolant in your car at all times. Having a cooling system service done will help to ensure that your cooling system will continue to operate the way it should. A cooling system service will include a variety of processes to ensure that your system is working correctly. The technician will be able to analyze your water pump, radiator, and all related components to ensure they are working properly and efficiently. If they are not working the way that they should, our technician will notify you and is able to make any necessary repairs. The technician will also be able to replace your antifreeze with fresh fluid. Scheduling service will ensure your cooling system will work as well as possible. Your cooling system ensures that your car does not overheat while it is being driven. Having it serviced will help your car stay at a safe temperature when it is on the road. If you don't have your cooling system serviced, your car could overheat. This could allow the combustion process to make driving your car dangerous. This could also cause very significant damage to your engine and other important car components, leading to costly repairs. One of the main benefits of having your cooling system serviced at a dealership is that you will receive great and effective service. Our service center is very experienced with completing cooling system services on vehicles exactly like yours. This means that they will have all of the parts and experience necessary to have your cooling system properly repaired or serviced. 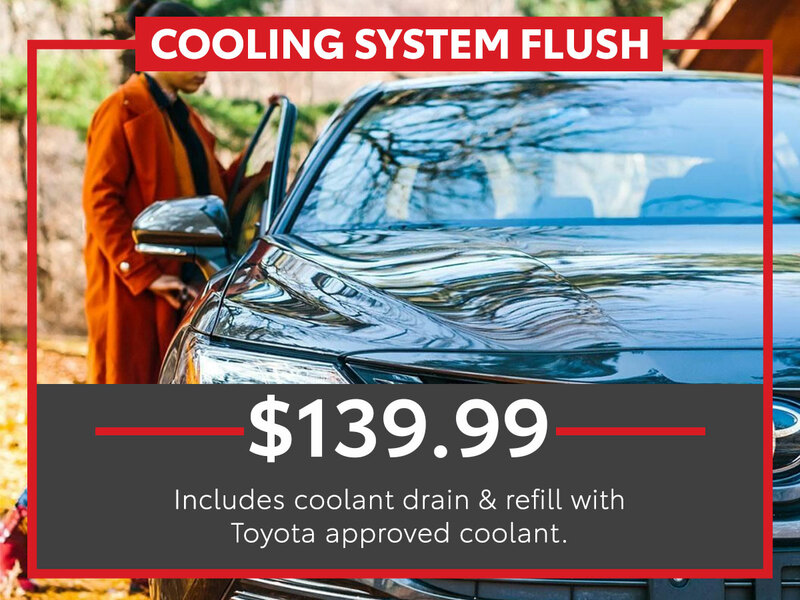 If you are in the need for a cooling system service, you should visit Tom Wood Toyota. When you come to this dealership, which is located near Indianapolis and Whitestown, IN. You can be assured that certified and factory-trained technicians will service your car. The dealership can also provide you with a very convenient early-bird service and can lend you a rental vehicle if the service will take a while. In the end, you will also receive a complimentary car wash, which will leave you with a fresh and clean vehicle when you get your car back.